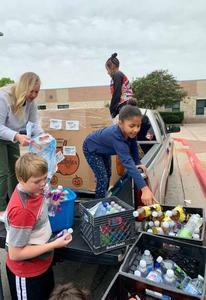 THANK YOU Mr. Hine for organizing this awesome drink donation from Temple Walmart Distribution Center #6083. 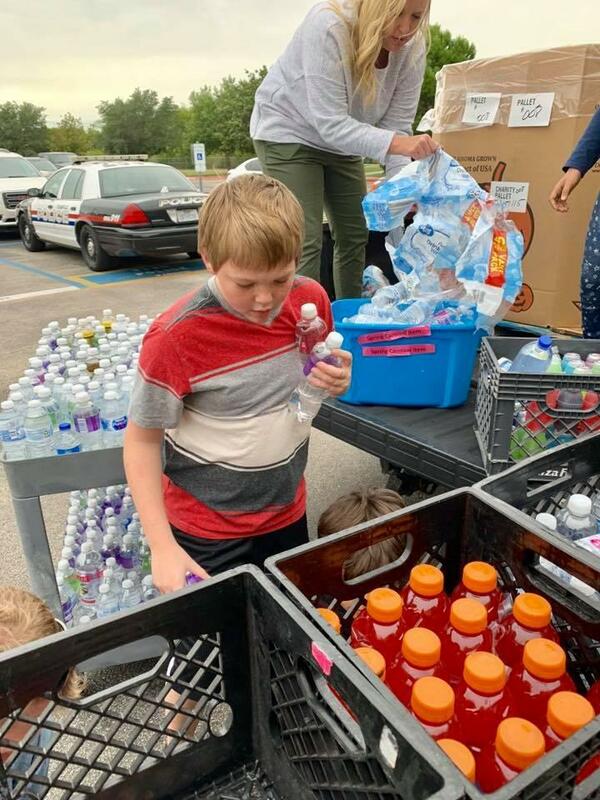 Our students enjoyed the teamwork while unloading and sorting the drinks. 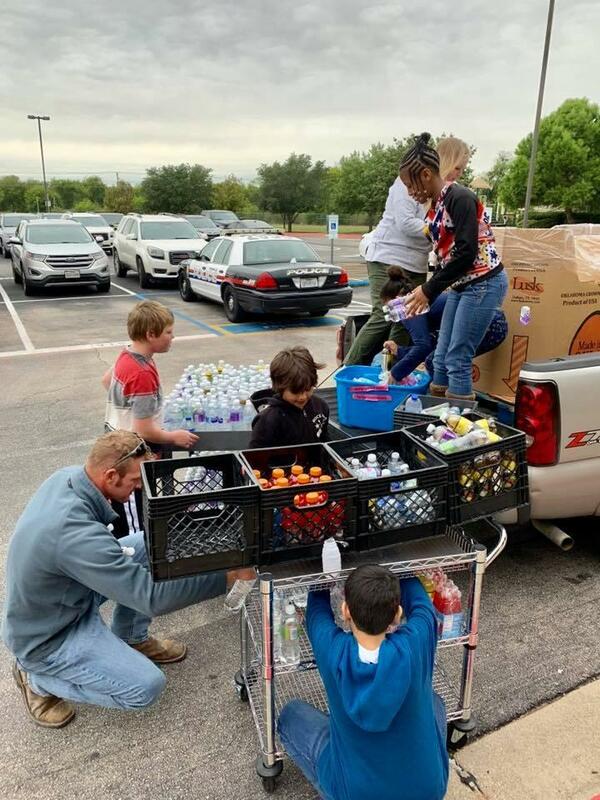 Thank you Allen Frei for picking up the pallet of drinks and delivering it to our school. 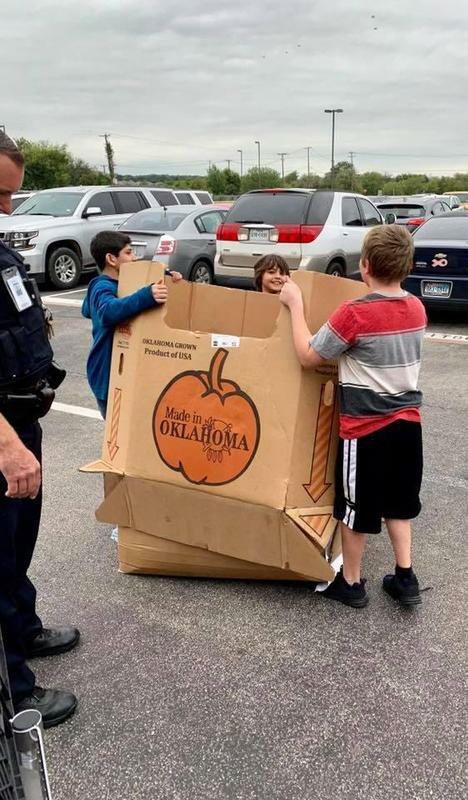 Thank you Officer Gilpin for all of your help unloading the pallet. The drinks will be used for our Fall Carnival and other campus events.